With this payment method, the exporter can avoid credit risk, since payment is received prior to the transfer of ownership of the goods. There are three types of cash- in advance- payment method: wire transfer, credit card, and payment by check. Wire transfers and credit cards are the most commonly used cash-in-advance options available to exporters. However, requiring payment in advance is the least attractive option for the buyer, as this method creates cash flow problems. Foreign buyers are also concerned that the goods may not be sent if payment is made in advance. Thus, exporters that insist on this method of payment as their sole method of doing business may find themselves losing out to competitors who may be willing to offer more attractive payment terms. For more detailed information on the cash-in-advance payment method see Chapter 2 of the Trade Finance Guide. Letters of credit (LCs) are among the most secure instruments available to international traders. An LC is a commitment by a bank on behalf of the buyer that payment will be made to the exporter provided that the terms and conditions have been met, as verified through the presentation of all required documents. The buyer pays its bank to render this service. An LC is useful when reliable credit information about a foreign buyer is difficult to obtain, but you are satisfied with the creditworthiness of your buyer’s foreign bank. An LC also protects the buyer since no payment obligation arises until the goods have been shipped or delivered as promised. The letters of credit can take many forms: irrevocable or revocable, confirmed, or special (transferable, revolving or standby). For more detailed information on the payment method involving various types of letters of credit see Chapter 3 of the Trade Finance Guide. 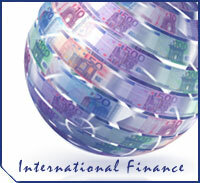 To obtain a letter of credit, contact the international division of your local bank . Alternatively, see the list of commercial banks listed by state on the U.S. Export Bank’s Lender Referral List. Need Help Getting Paid Overseas?